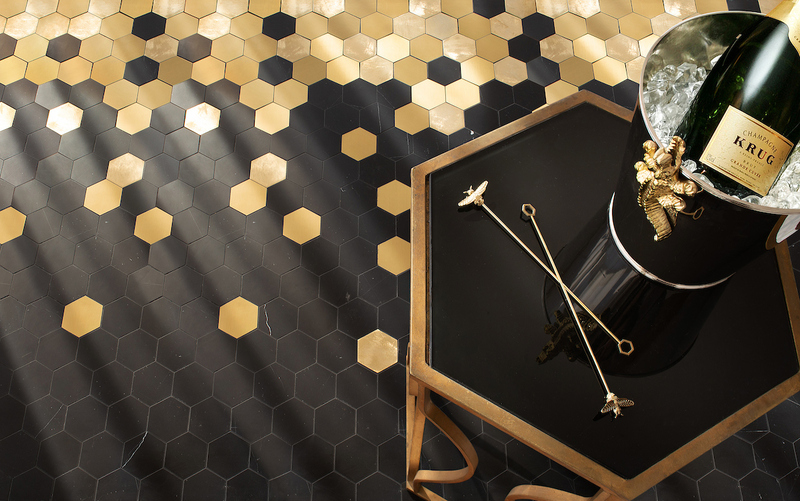 Beaton, a hand-cut and waterjet stone mosaic, shown in honed Orpheus Black, Nero Marquina, Shell, and tumbled Thassos, is part of the Bright Young Things™ collection by New Ravenna. 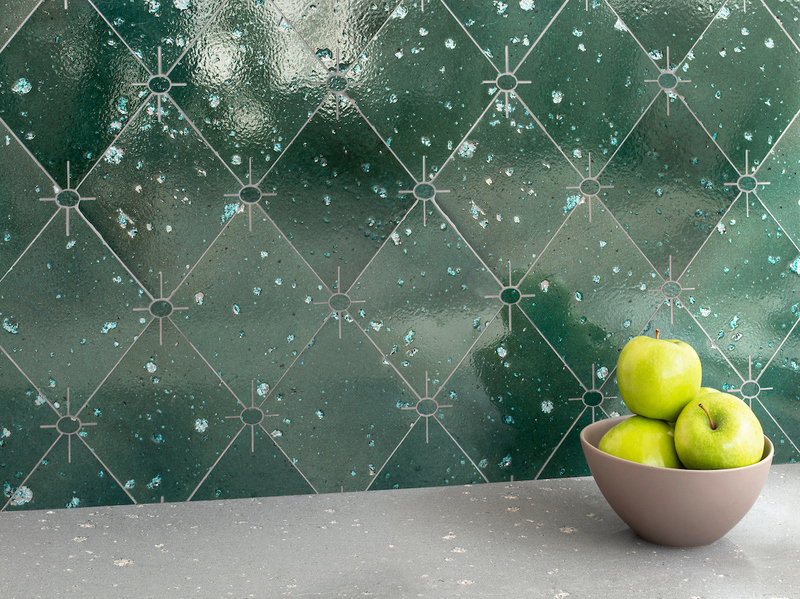 Bismarck Grand, a hand-cut stone mosaic, shown in honed and polished Aloe Basalto, is part of the Bright Young Things™ collection by New Ravenna. 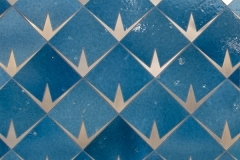 Byron, a waterjet stone mosaic, shown in Cornflower Basalto and brushed Aluminum, is part of the Bright Young Things™ collection by New Ravenna. 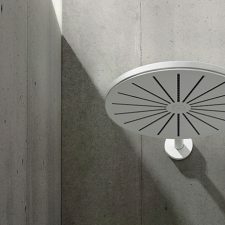 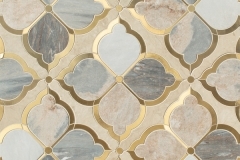 Chloe, a stone waterjet mosaic; show in honed Bianco Antico, is part of the Bright Young Things™ collection by New Ravenna. 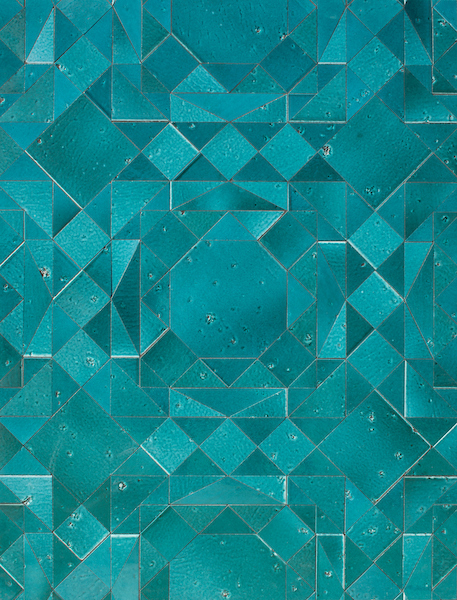 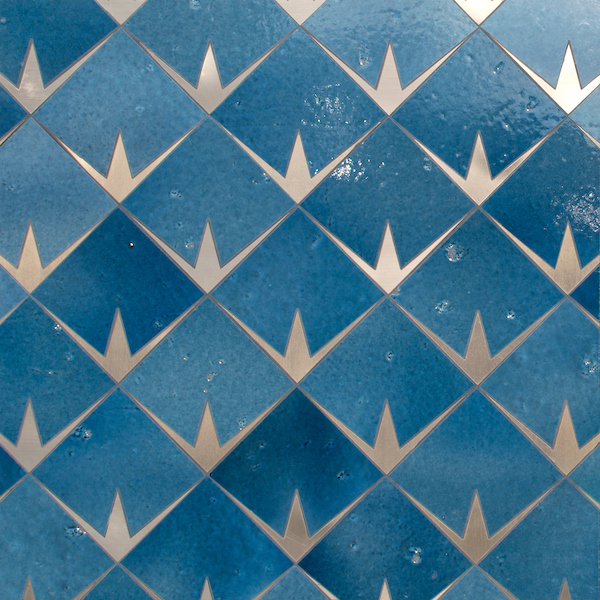 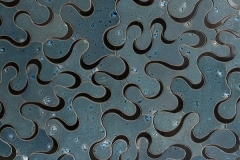 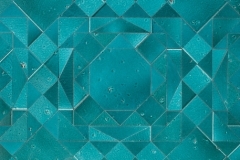 Eleanor, a waterjet stone mosaic, shown in honed Argent Blue, Palomar, and brushed Brass, is part of the Bright Young Things™ collection by New Ravenna. 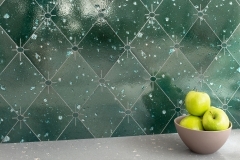 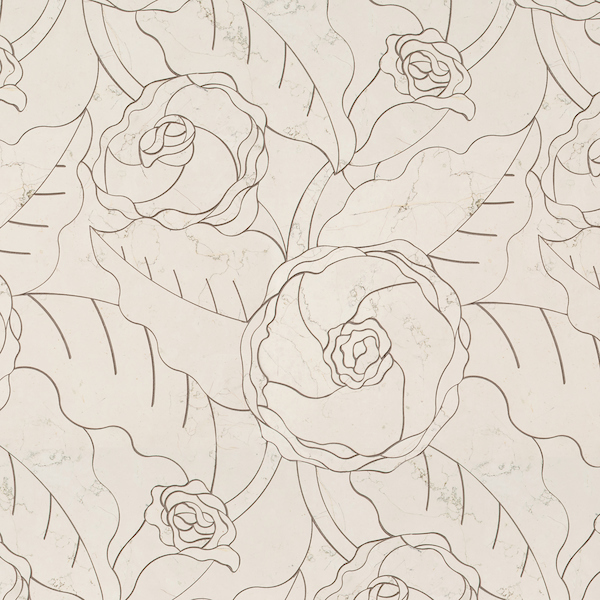 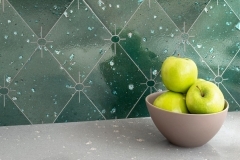 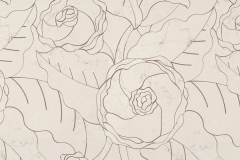 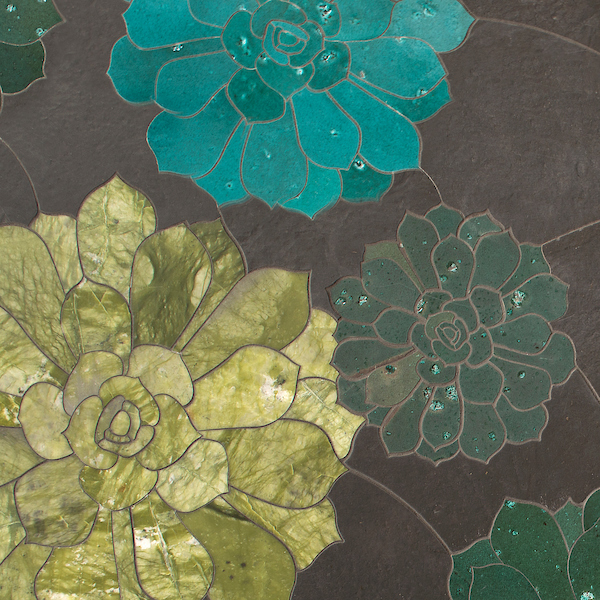 Essex, a waterjet stone mosaic, shown in Ivy Basalto, is part of the Bright Young Things™ collection by New Ravenna. 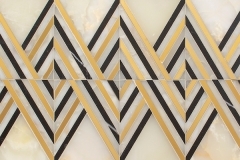 Evelyn, a waterjet stone mosaic, shown in honed Orchid Basalto and polished Nero Marquina, is part of the Bright Young Things™ collection by New Ravenna. 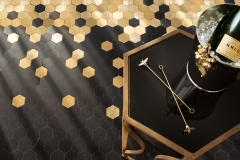 Huxley, a waterjet cut stone mosaic, shown in honed Nero Marquina with brushed and velvet finish brass, is part of the Bright Young Things™ collection by New Ravenna. 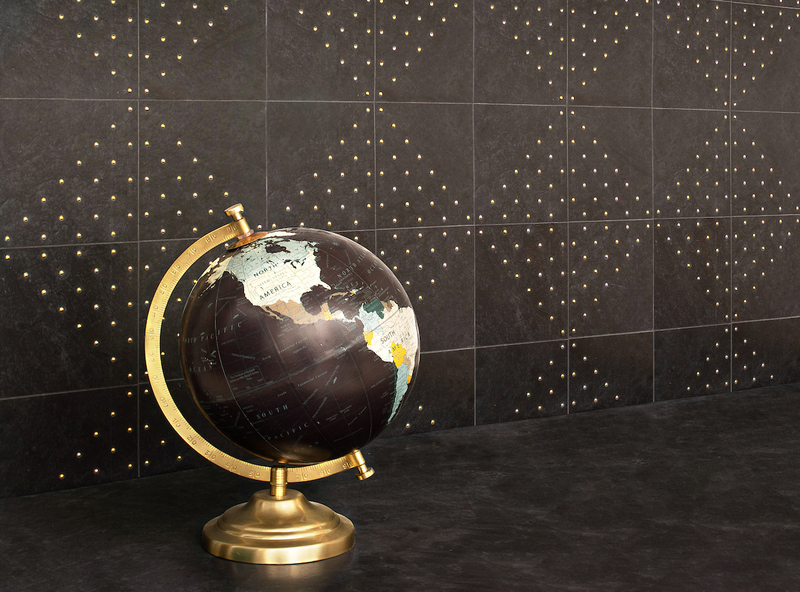 Huxley Grand, a waterjet cut stone mosaic, shown in honed Nero Marquina with brushed and high polished brass, is part of the Bright Young Things™ collection by New Ravenna. 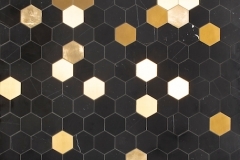 Lombard, a stone waterjet mosaic, shown in polished Nero Marquina and Shell, is part of the Bright Young Things™ collection by New Ravenna. 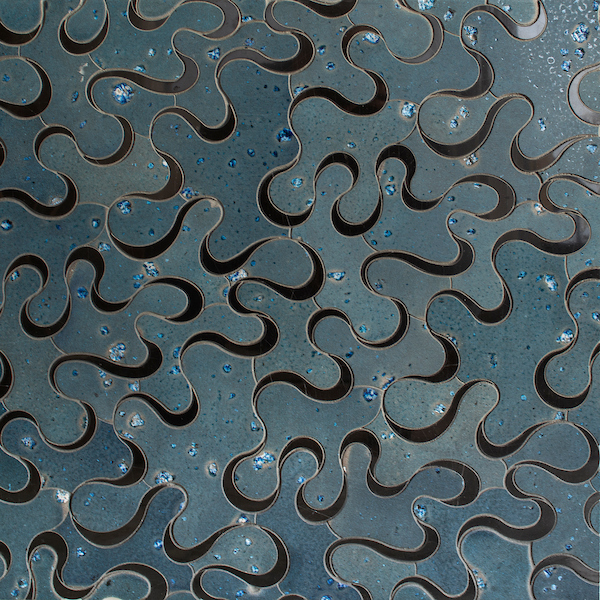 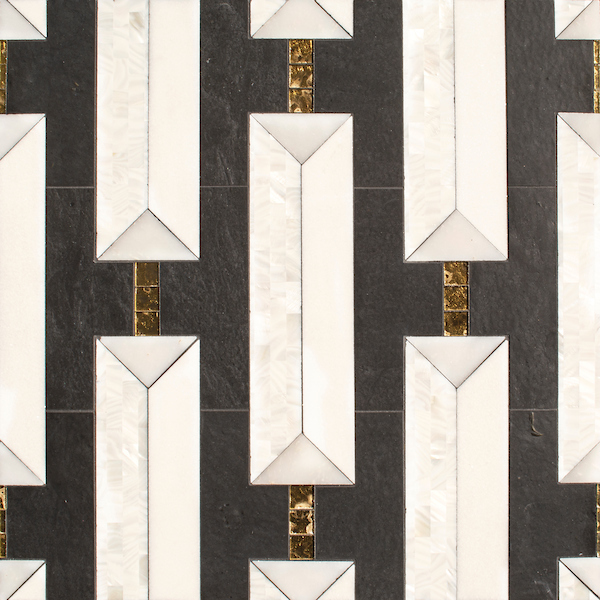 Lya, a waterjet stone mosaic, shown in honed Orpheus Black, Allure, polished Argent Blue, and Brass liners, is part of the Bright Young Things™ collection by New Ravenna. 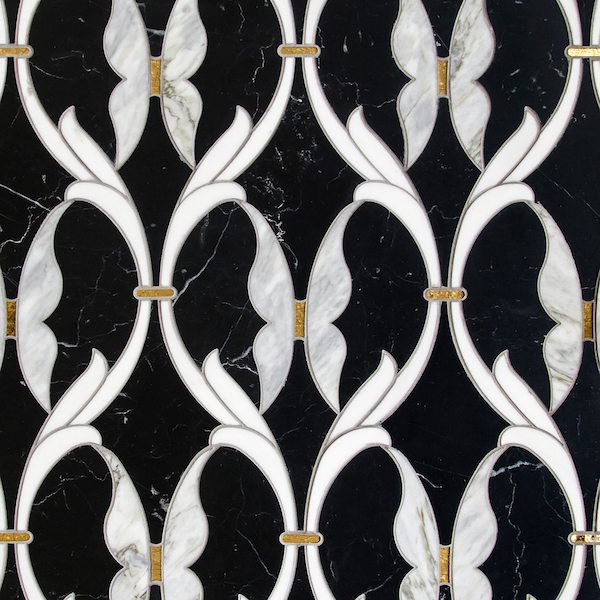 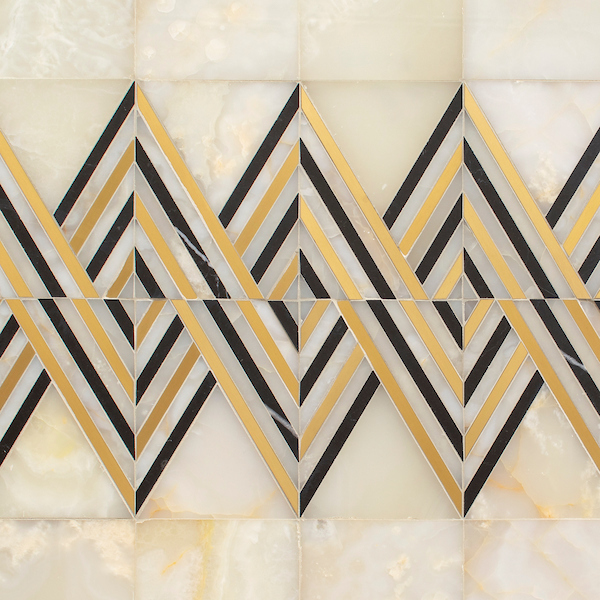 Lytton, a waterjet and hand-cut stone mosaic, shown in honed Orpheus Black, polished Thassos, Shell, and 24k Gold glass, is part of the Bright Young Things™ collection by New Ravenna. 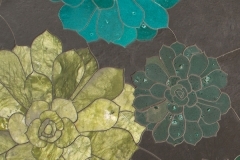 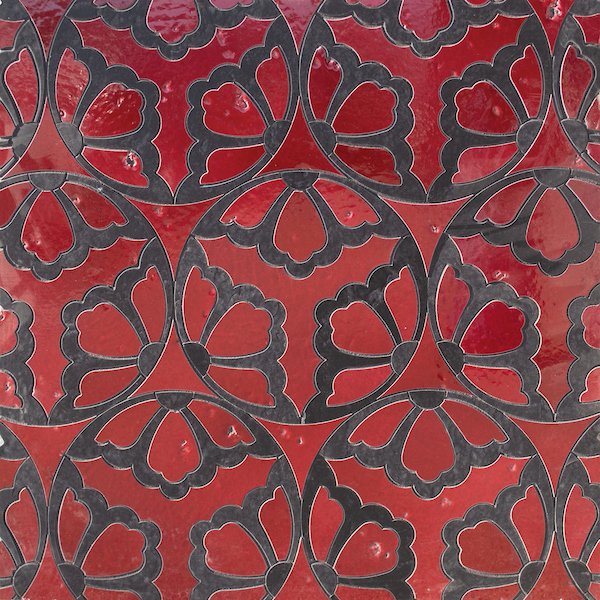 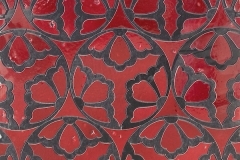 Rosamund, a waterjet stone mosaic, shown in Zinnia Basalto and honed Orpheus Black, is part of the Bright Young Things™ collection by New Ravenna. 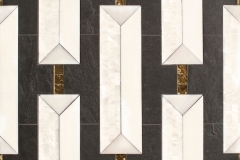 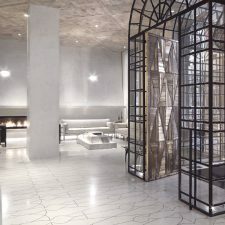 Tennant, a hand-cut stone mosaic, shown in polished White Onyx, Nero Marquina, and brushed Brass, is part of the Bright Young Things™ collection by New Ravenna. 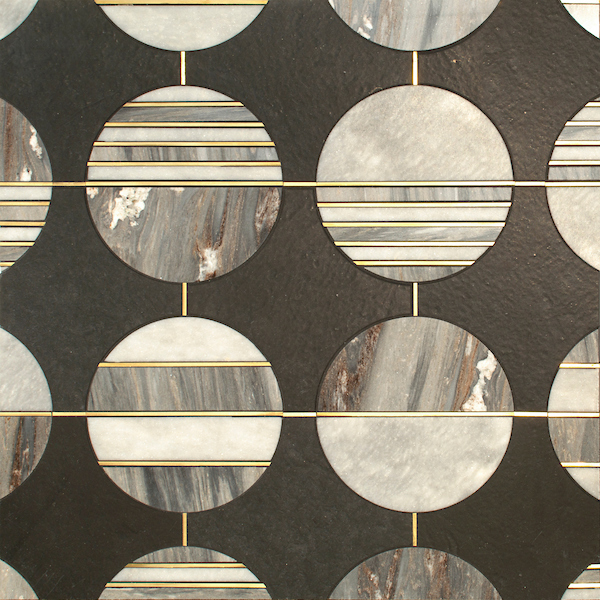 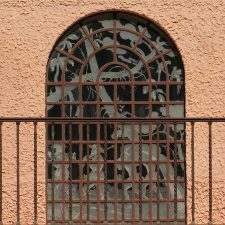 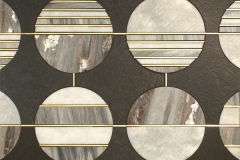 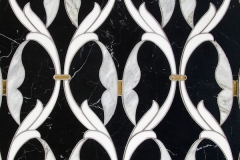 Whistler, a waterjet stone mosaic, shown in polished Nero Marquina, Dolomite, Cirrus, and Gold Glass, is part of the Art Deco Collection. 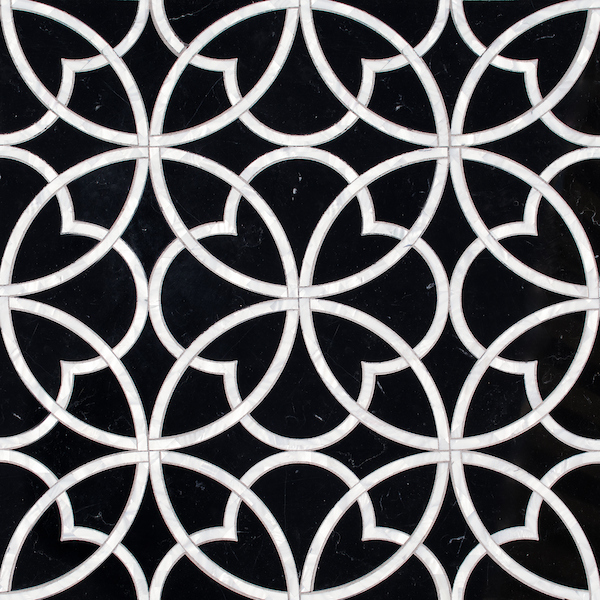 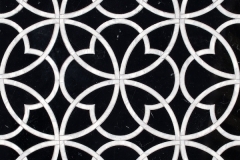 Whistler, a waterjet stone mosaic, shown in polished Nero Marquina, Dolomite, Cirrus, and Gold Glass, is part of the Bright Young Things™ collection by New Ravenna. 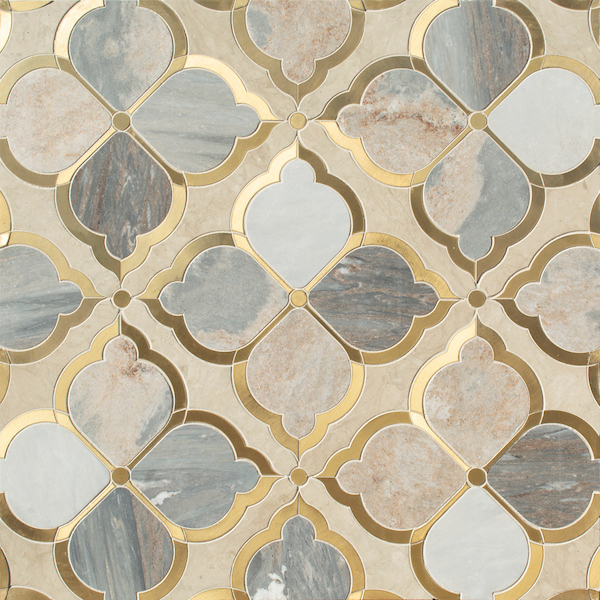 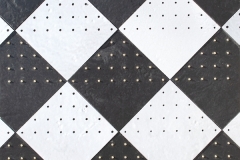 Yorke, a waterjet stone mosaic, shown in honed Orpheus Black, Oleander Basalto, and Brass studs, is part of the Bright Young Things™ collection by New Ravenna. 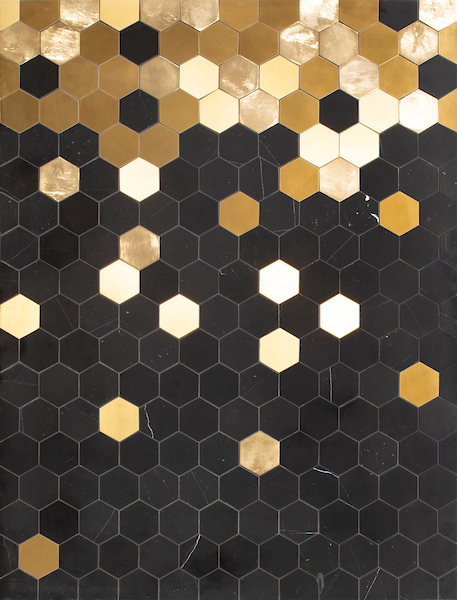 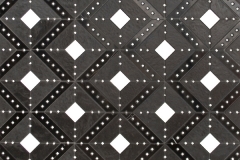 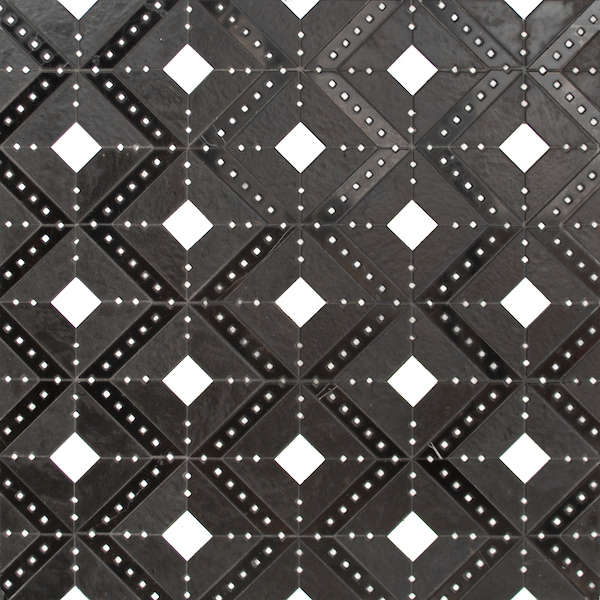 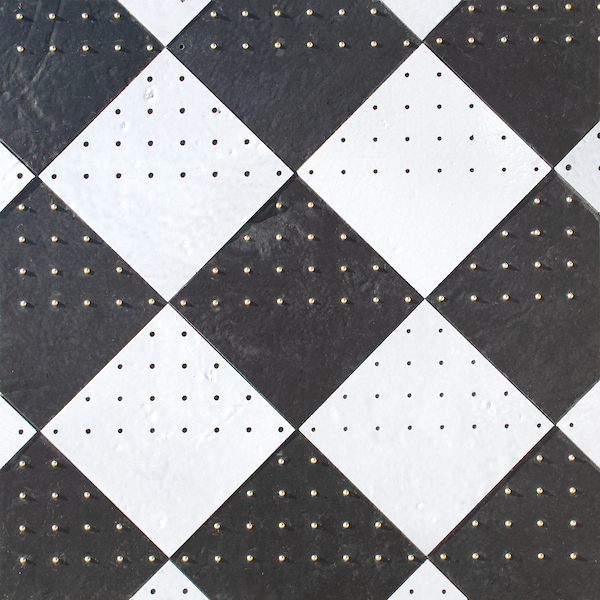 Yorke, a waterjet stone mosaic, shown in honed Orpheus Black and Brass studs, is part of the Bright Young Things™ collection by New Ravenna. 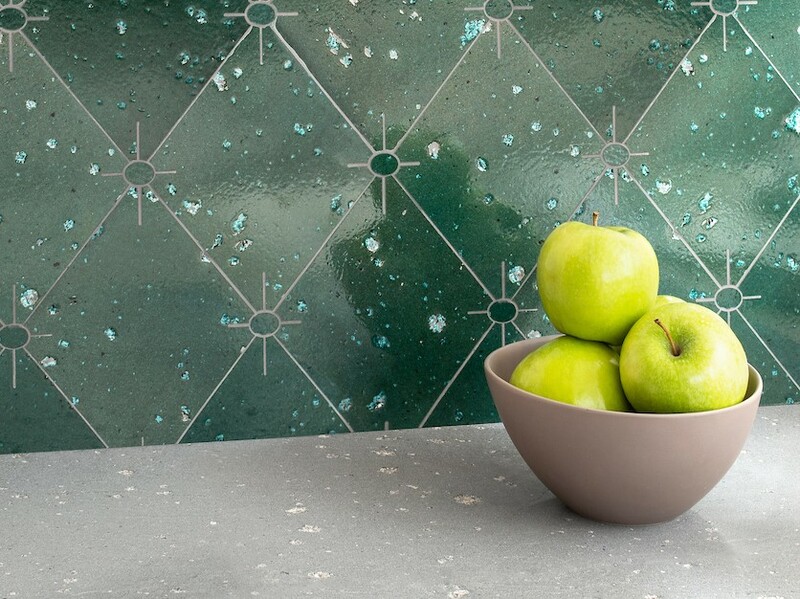 Zita, a waterjet stone mosaic, shown in honed Orpheus Black, honed & polished Ivy Basalto, honed Chartreuse, and polished Aloe Basalto, is part of the Bright Young Things™ collection by New Ravenna.